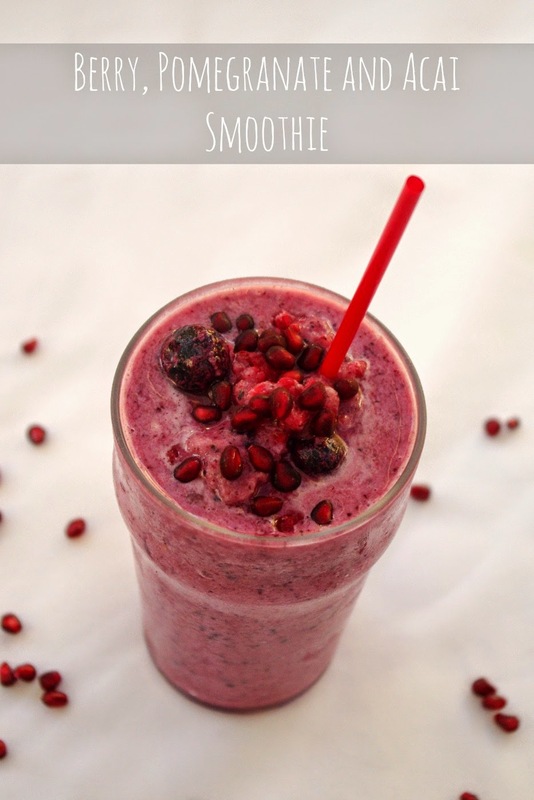 This post is an entry into the Nuffnang ‘Fresh Recipe’ Network Competition, thanks to BRITA. Check out betterwithbrita.com for inspiration and exclusive recipes by Gary Mehigan. The other day I found myself at the shops with no kids and a little free time - what a rare luxury! So I thought I'd treat myself to a smoothie, well, mainly since I didn't have to share it with anybody! I don't often buy smoothies but the Superfruit Smoothie from Boost looked particularly appealing. I thoroughly enjoyed it and decided to try to recreate it at home. I looked up the ingredients on-line and found it was made from Apple Juice, Raspberries, Blueberries, Vanilla Yoghurt, Strawberry Yoghurt, Ice and Superfruit Booster (Acai Berry, Goji Berry, Cranberry and Pomegranate). Fairly straight forward except for the superfruit booster. 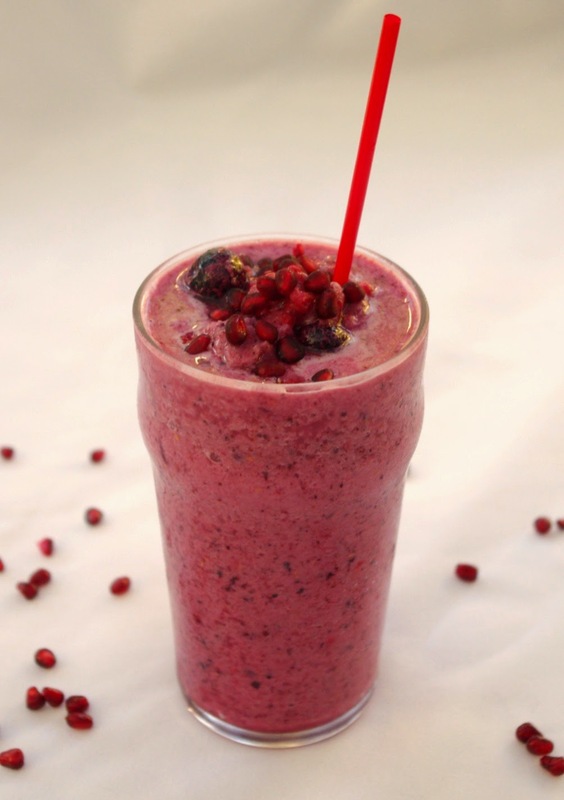 I was contemplating how to use fresh pomegranates or acai powder to replicate the booster part but I was presented with a much easier way to recreate the smoothie when I found Pomegranate and Acai juice at my fruit and veggie market. It was all natural juice with no added sugar. I made the ice from filtered water - cleaner and clearer water makes for a fresher and better smoothie. When you are trying to keep the other ingredients fresh and clean it makes sense to do the same with the ice, no? Blend all ingredients together into a smoothie. Serve and enjoy! Why reinvent the wheel - they can put a good flavour profile together and then we can make it healthier at home! Thanks for hosting the link up. If you get hold of fresh fruit acai berry, which is not that an easy task, then you must consume it within a day to get the most of its nutritional content.